Hope Heritage Days is entering its 52nd year in 2019. 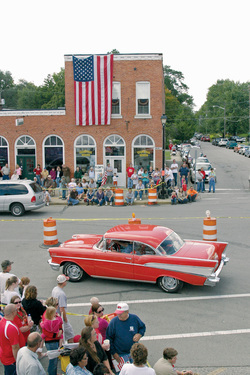 Long considered the quintessential Hoosier Celebration, the event is Bartholomew County's largest and oldest multi-day festival. During the last full weekend in September each and every year, the "Surprising Little Town" of Hope, Indiana swells from a population of around 2,200 people to upwards of 30,000. But don't worry, we'll take great care of you! Hoosier Hospitality comes naturally. From the always excellent musical entertainment to the over 125 food and vendor booths, our autumn festival is wonderfully Hoosier.... and uniquely HOPE! All photos on this website are copyrighted.